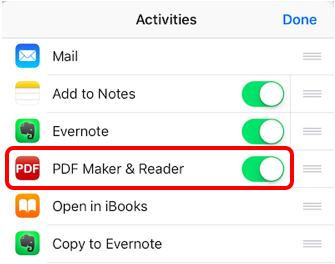 Choose "PDF Maker & Reader". 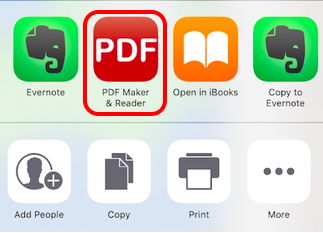 Tap "PDF Maker & Reader". 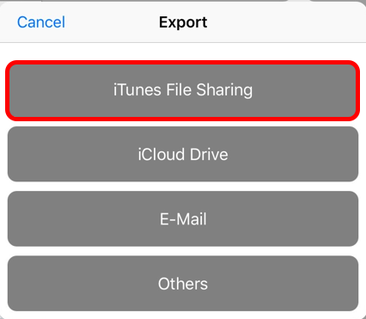 B.How to import PDF files from iTunes File Sharing. 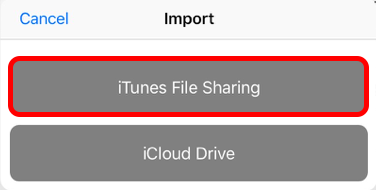 Add PDF files to iTunes File Sharing. 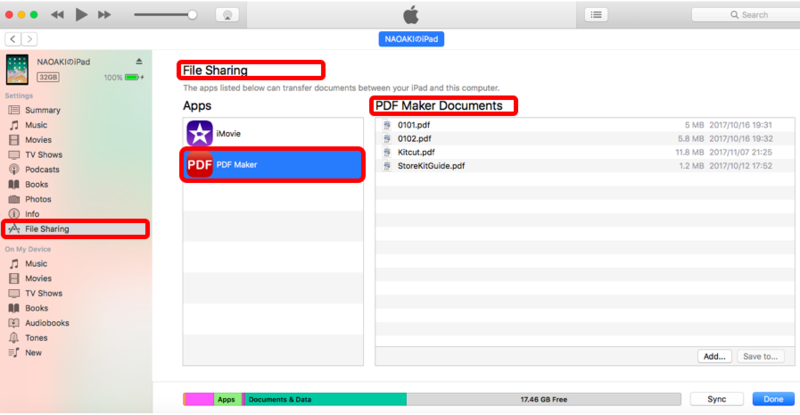 Tap "Import" button on PDF Maker & Reader. 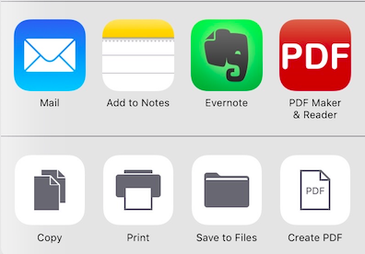 Select a PDF file and tap "Done". 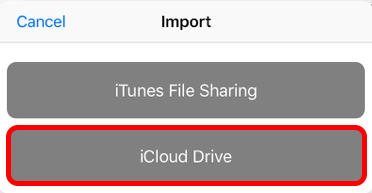 Select a PDF file on iCloud Drive. 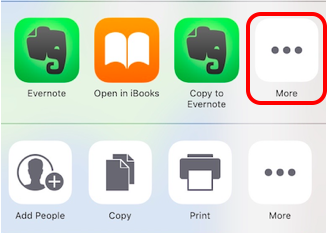 Tap "Edit" to start editing. Tap "Input" button and you can input manually. Tap "keyboard" button and you can input from the keyboard. Tap "camera" button and you can paste up to photos. Tap "line" button and you can add lines. 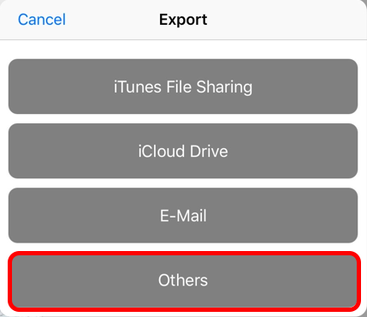 Tap "figures" button and you can paste figures. Tap "map" button and you can paste maps. 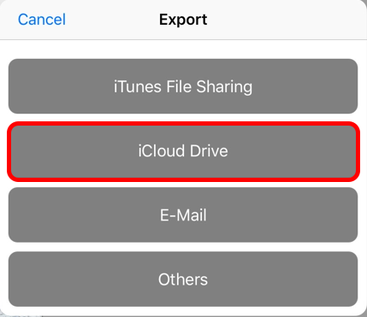 A PDF file is saved in iCloud Drive. 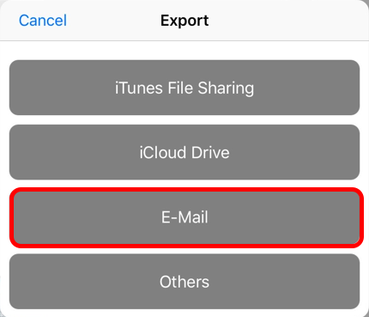 Select the application to output the PDF.